All our bathroom radiators come in an array of sizes to suit all shapes of bathroom and cloakroom. To ensure we cater for all tastes, we offer a variety of materials and finishes, and an extensive range of radiator valves. Browse through our brochure to choose a radiator for your bathroom or cloakroom, and find your perfect high heat output radiator! 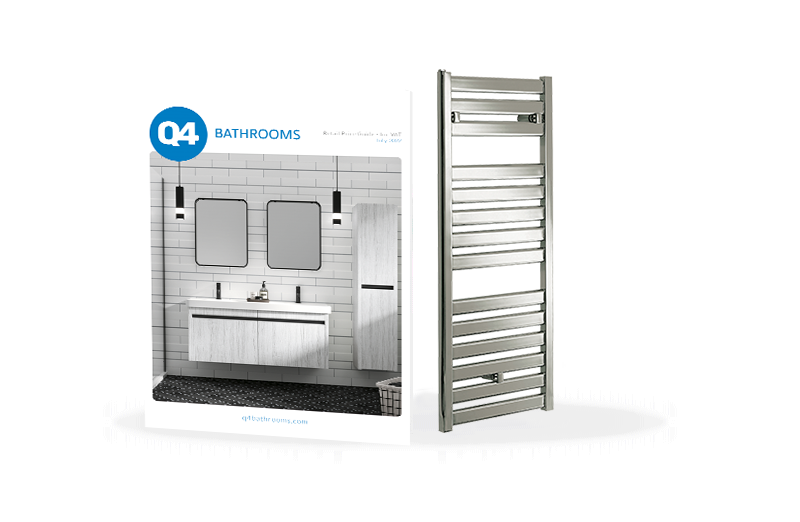 Why buy bathroom radiators from Q4?